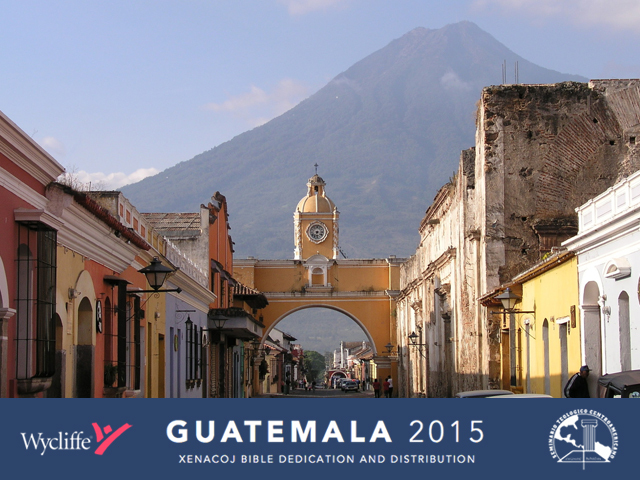 Friday morning at 4:00am, a team of six men (Mark Hinkleman, Doug White, Reuben Evans, Rudy Flores, Sean Jeffrey, and Gary McGill) will travel to Guatemala to distribute copies of God’s Word for the first time to the people who speak the Xenacoj language. The team will also work with Immanuel missionaries Paul and Jean Sywulka who have served in Guatemala for decades. Please pray for the team as they travel for 17 hours. Pray for a smooth and uncomplicated entrance through customs. see some other sites, and do a little shopping. Pray that the team will recover quickly from the lengthy travel time on Friday and be ready for a full day on Sunday. Bible distribution and dedication service. Pray for the people of Xenacoj as they receive God’s word in their own language for the first time. Pray for the our team and the other teams who are going door to door for many hours distributing Bibles and praying with each family. Pray for quick solutions for tech issues when we film the Bible dedication. Drive to Solola with a group from Wycliffe and Paul and Jean Sywulka to visit Viña Studios in Solola. Pray that we would be an encouragement to the staff of Viña and make the connections we need to translate the Film we are making of the Bible dedication. Drive to SETECA and visit ministries on the way. Pray for opportunities to serve. Tour of SETECA, visit some ministries, and discover what God is doing through SETECA students and faculty. Please take a moment and visit ibcbellingham.org/guatemala2015 to learn more about the trip, give online, and sign up to receive prayer updates.